Over the past year we have invested resources to provide local businesses with new opportunities to engage customers and clients. Our quarterly printed newsletter, the mkna.org website, our social media channels and email newsletters have been enhanced to provide you with new ways to directly access important audiences through print and online publications. We designed bigger, more colorful, more interactive formats to generate greater interest. Our neighbors have always been motivated to read MKNA communications and to participate in the community. Now everyone can be even more informed, engaged and entertained. 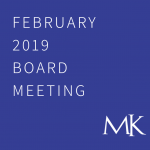 Beginning in February 2015, the MKNA printed newsletter will be published quarterly with a completely new, larger, full-color format. We know that everyone will take notice of this big change. The newsletter is mailed to 7,000 Meridian~Kessler residential households (16,000 people), our extended business community, churches, schools, service agencies, government, civic and community offices. By advertising in the MKNA newsletter your business will benefit from the excitement. Do not miss this chance to be involved in the big splash. January 15, 2015 is the advertising deadline for the February publication. Our media kit with ad sizes, rates and deadlines is available for download. 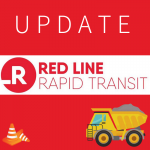 Our new communication strategy will carry across all of our communications, newsletters, online social media presence and into our neighborhood streets.  We celebrate Meridian~Kessler as a place to “Live, Work, Shop, Play, Learn, Grow.” We are dedicated to boosting the awareness of the boundaries, and the distinctiveness of our neighborhood! 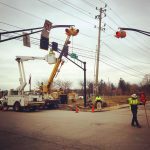 We guarantee that our local businesses will benefit from these visibility efforts! While MKNA actively supports all of our local businesses, business members receive high profile marketing and communication placement, discounts and access to events. All members are represented online in the MK Local Business Directory. Business Members at the Copper Level receive a one year Basic (business name only) Listing with a link to their website. Business Members at the Bronze level and above receive a one year Premium Listing with their own Profile Page including name, display of logo, one photo, address, contact info, links to social media and a two-paragraph description of the business. Silver level and above members receive even more robust galleries and promotion. Business owners: Learn more about Business Membership Benefits. We know that it is smart business to engage customers through our print publications, the mkna.org website, our social media channels and email newsletters. For example, our MKNA Facebook page has over 1,400 ‘Likes’ and an average weekly readership of 3,000 people. Our social media directly reaches this motivated neighborhood audience. The diverse mix of our local businesses contributes greatly to the vibrancy of Meridian~Kessler neighborhood. Whether a business is small or large, emerging or established, there is a membership level and many advertising opportunities tailored for business success. Plus every business member can take pride in knowing that when stewarded collectively, all membership fees and advertising revenue make it possible for MKNA to sustain and increase its wide range of community projects, service and impact. Members and advertisers create the capacity of MKNA to catalyze neighborhood economic development.